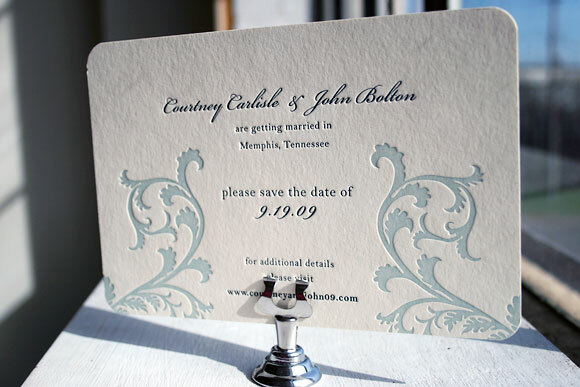 Destination Wedding Letterpress Invitations - Smock. It’s a bit ironic that we have sun and summer on the brain today given the blinding snow currently falling over Central New York, but our dreams of sunshine can’t be deterred – we can’t wait for spring to get here! This time of year we start to get a lot of inquiries about invitation designs particularly well-suited to waterfront, beach or destination weddings so we thought we’d dig up some of our favorites from last year to share with you. 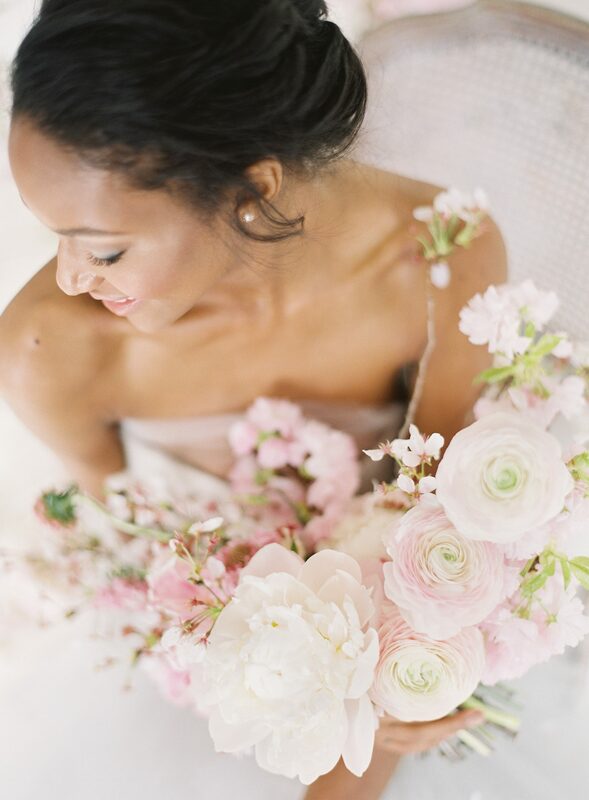 There’s nothing like the promise of warm summer breezes to get you inspired, snow or no snow. 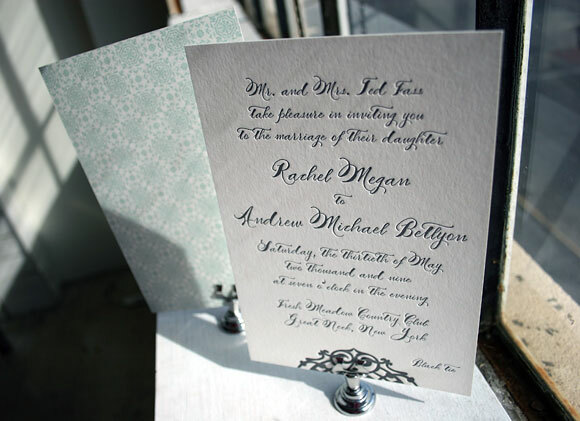 This first invitation is our Lashar design printed in pewter ink using our Smock Spencerian calligraphy font. 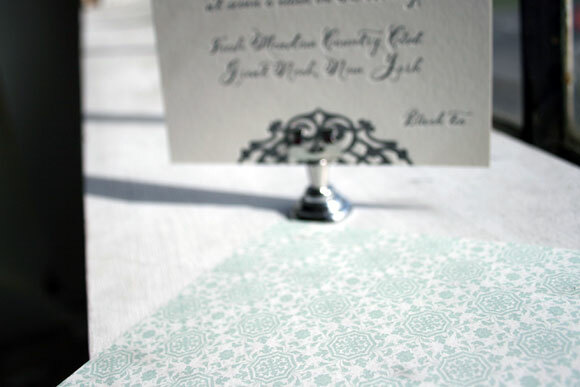 The back of the letterpress invitation features gorgeous patterned backing printed in sea mist in our lesina pattern. This invitation was a beautiful custom version of our Haddington design, printed in espresso ink and blind deboss. 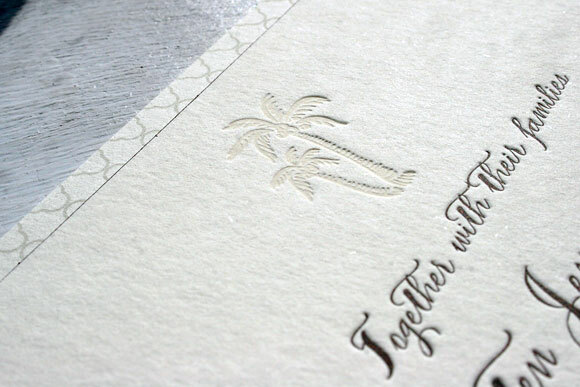 The palm tree motif was a custom addition to the design, making it perfect for an elegant destination wedding. Brought to us by our friends at Peabody Papers in Columbus, Ohio, this version of our popular Vettore design was printed in midnight and seamist inks. The flourishes from the Vettore design were modified in such a way that they remind us of water and waves without being literal. This custom version of our Engadine design was printed for the folks at Luxe Expressions in Atlanta. 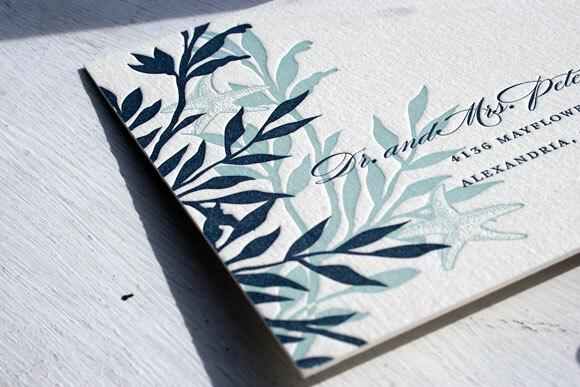 It’s a letterpress reply postcard printed in midnight and seamist that features pretty ocean-themed motifs. The card also includes space for guests to reply to multiple weekend events, which is a great option when designing your stationery for a destination wedding.